No, Ether Isn’t “Getting Crushed.” Here’s What’s Really Going On. And we have the numbers to prove it. If you head to the source image and check the three-month view (3M), you will immediately see that such fluctuations are, and have been, common place over the last few days, weeks, and months. Given the extreme rise that we’ve seen recently, this is to be expected—ether has risen an unbelievable 4,500 percent in 2017, after all. 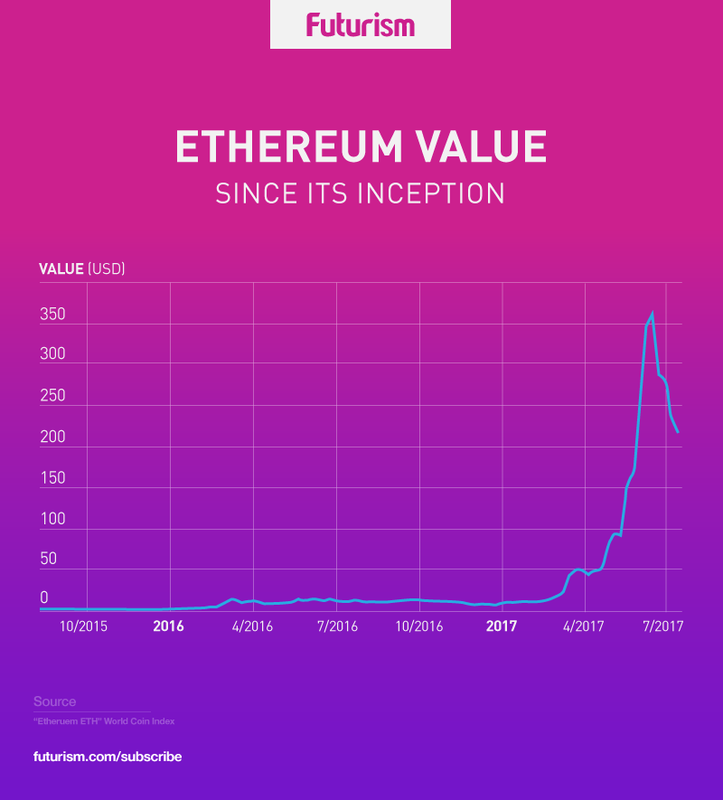 So the title and chart herald the downfall of ether, but the article seems to be saying the opposite…? Let’s take a moment to dive into a bit of history and break down what’s really going on here. 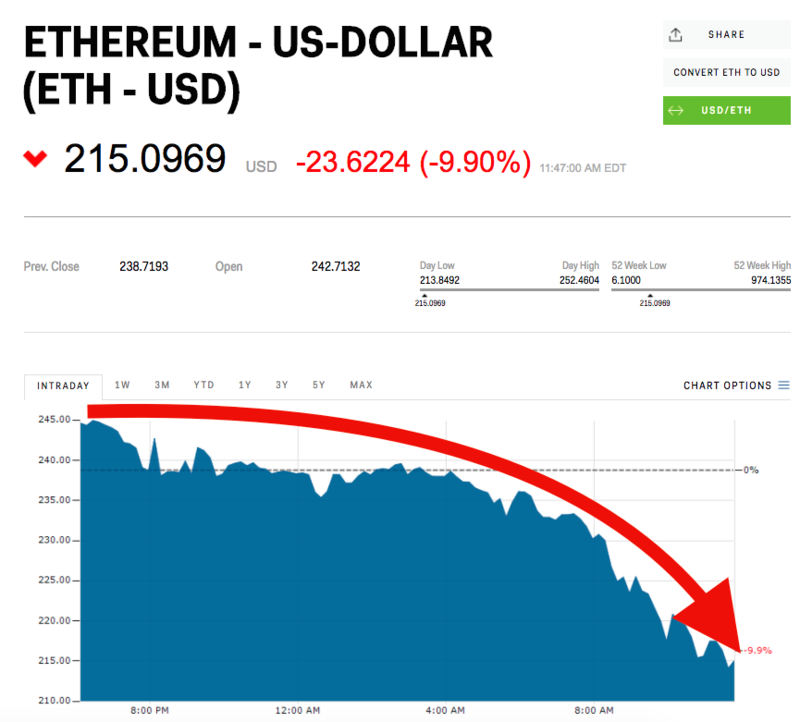 TLDR: No, ether is not getting crushed, and given the short attention span of most internet browsers, it’s a bit problematic to structure articles with the title and featured image that were selected by Business Insider. You’ll see that $210 is still fantastically high. Yes, there is a dip. Such dips were anticipated and mimic what was seen with bitcoin (as we noted in a previous article, the rapid boom of both Ethereum and Bitcoin showcase not only the massive potential of blockchain technology, but the volatility of the cryptocurrency world). And to this end, the main focus should be the incredibly steep rise alongside the dip. At the time this article was written, ether was at $214. This is up $203 since last year – a total 1,870% increase. It’s too soon to tell how ether will end the year, but this dip needs to be taken into consideration alongside the impressive rise seen in recent months. Is Ethereum Ready for Widespread Adoption?